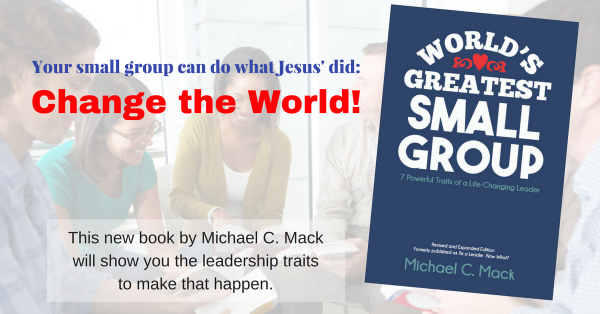 Home Ministry Leaders Return of the Small Group Leadership Blog! Reader, forgive me. It’s been 7 months since my last blog post. So . . . where have I been? As I wrote in a blog post back in June 2017, I became editor of Christian Standard magazine a little more than a year and a half ago. I love that ministry and the way God is using it to serve leaders and churches around the world. But I’ve missed my interaction with small group leaders and pastors here. I still lead small group training sessions in churches occasionally on weekends, and I love that more than almost anything else I do, but I’ve been focusing most of my time and energy on the magazine and its ministry. I just wanted to let you know I’m planning to return to blogging here on at least a somewhat regular basis. I’d love to get questions from readers of this blog; I’ll try to respond via a post as soon as possible. I’ll also share some of the “best of” materials from my books and other resources. Meanwhile, I’d like to let you know about an exciting new move we’ve made with our magazines. Christian Standard Media just launched what may be considered one of the most exciting endeavors in our 152-year history. Christian Standard and The Lookout are now available digitally for FREE! Simply go to each of our magazine’s websites, www.christianstandard.com and www.lookoutmag.com, enter your name and email address when prompted, and you’re in. You can then flip through and read the full magazine with all the stories, pictures, etc. on your computer, tablet, or phone. This isn’t just a three-month offer; we will not come back later and ask you to pay to continue your subscription. And you can be assured we won’t fill your email inbox with a bunch of junk mail; we’ll use your email address primarily to let you know when the next issue of our magazines are available on our websites. I hope you’ll join us! And don’t forget, please send me your small group and discipleship questions! Click to comment below.